Our hydraulic system design guides will help users specify the loads, cylinders, valves, power units and pipework. They will allow users to select and size components from a drop-down list and modify or warn about issues with the rest of the system. Each design guide will export a .csv file (registered users only) containing the recommended component sizes that the user can enter into a spreadsheet to back-up the final calculation evidence. 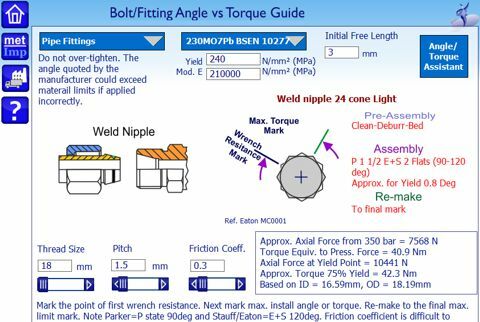 These files should also contain enough information for suppliers to accurately quote the appropriate hydraulic equipment. If you are a hydraulic equipment supplier and would like to add your data for each component and receive enquiries for equipment in your area then please contact us. 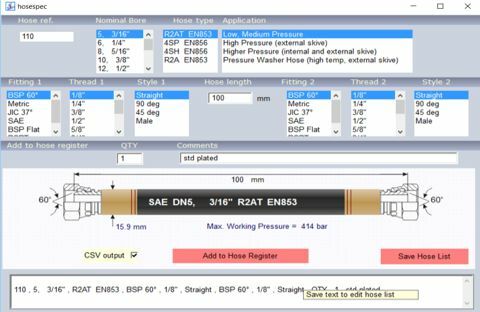 The hydraulic hose register software is a clear and simple tool for identifying your hydraulic hose. 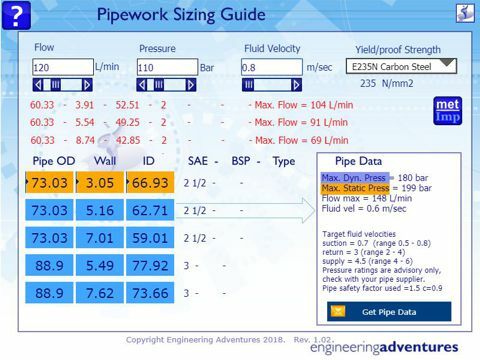 It allows you to create a complete list of your hoses in a format you can transfer into an excel spreadsheet. 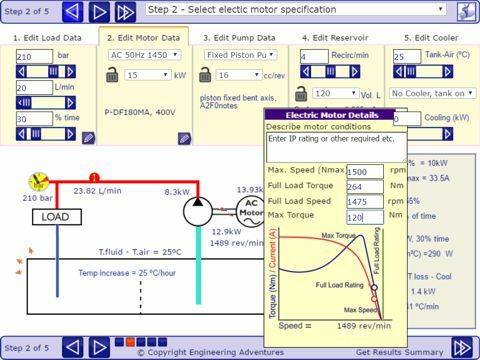 This module applies to both mobile and industrial applications although mobile equipment is likely to be so finely balanced that it will require development testing to ensure performance limits. 1. The operation of hydraulic fluid power equipment. 2. Understand hydraulic components and where they are used. 3. Able to read hydraulic circuit and their symbols. © Copyright Engineering Adventures , all rights reserved. Last Updated 2019-03-04.